In May 2018, a group of climbers will be traveling to Nepal to trek to Everest Base Camp, supporting seven different charities. Please show them your support by donating today! All donations go directly to the charities! 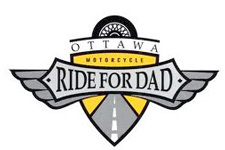 The mission of the Ride For Dad is to raise funds to save men’s lives by supporting prostate cancer research and raising public awareness of the disease. Students who are given nutritious breakfasts daily make significant improvements in learning, school attendance, behaviour and self-esteem. The School Breakfast Program ensures that children in need have access to a healthy breakfast in a safe, supervised environment – to help each child start their day ready to learn. CARE Canada's mission is to serve individuals and families in the poorest communities in the world. Drawing strength from our global diversity, resources and experience, we promote innovative solutions and are advocates for global responsibility. DTF Ottawa is a not-for-profit charitable organization dedicated to providing a one-day trip of a lifetime for physically, mentally or socially challenged children in Canada's National Capital Region. Around the world, SOS Children’s Villages provides loving homes for children who have been abandoned and orphaned. SOS Children's Village provides children in need with a caring, loving, and secure family environment where basic needs for food, health, shelter, and education are met.